If you need money to make home repairs, buy a new car, or even take the trip of a lifetime, you may be able to get a loan using the equity of your house as collateral. For homeowners who have paid off their mortgages, making loan repayments may not be stressful. However, for people over 50 who may be on a fixed income, they can take advantage of equity schemes to finance their needs. Here are five tips for choosing the right lifetime mortgage scheme for your situation. Before considering a lifetime mortgage, make sure that you fully understand what it is. A lifetime mortgage is a home loan based on the built-up equity of your property. Since it is a loan, it will need to be repaid; however, the lenders allow repayments to be made when the property is sold if you’re downsizing into a smaller home, if you need to move into a nursing home, or when you and your spouse have passed away. The money that was borrowed will be repaid first and then the rest will go into your estate. Lifetime mortgage companies will make loans to homeowners age 50 and over, although some will not lend to homeowners until they are 55. Their homes need to be paid off or only have a small amount left to pay on the mortgage. Ideally, there are no children or dependents living with the homeowners when they apply for lifetime mortgages. Lifetime mortgages, which are a type of equity release scheme, are regulated by the Financial Conduct Authority (FCA) so all lenders must comply with their rules. 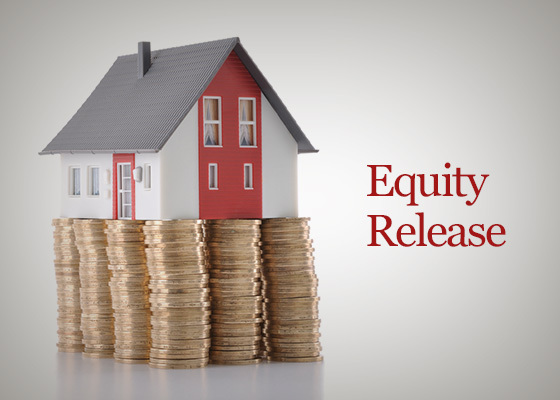 Also, look for lenders that are members of the Equity Release Council (ERC) as the council has a stringent code of practice for lifetime mortgage lenders. If you don’t see indications of an FCA or ERC logo on their websites or anywhere in their brick and mortar location, you should reconsider applying with the lender. It is important to get a no-negative-equity guarantee when you decide to get a lifetime mortgage or another equity scheme from a lender. This guarantee means that you are never obligated to pay the lender more than your property is worth on the open market. The ERC members must offer this protection to their customers, which is one of the reasons to make sure that your lender is a member of the ERC. If you’ve already made out wills, notify the attorney of the lifetime mortgage that you’ve taken out on your home. He or she can make sure to add a provision to the will to repay the mortgage before any other monetary assets are distributed to your heirs. In addition, tell your heirs about the lifetime mortgage so they won’t be shocked by the reduction in your estate when your home is sold and the mortgage is repaid. An equity release scheme can be a good way of using your home’s equity for your needs.